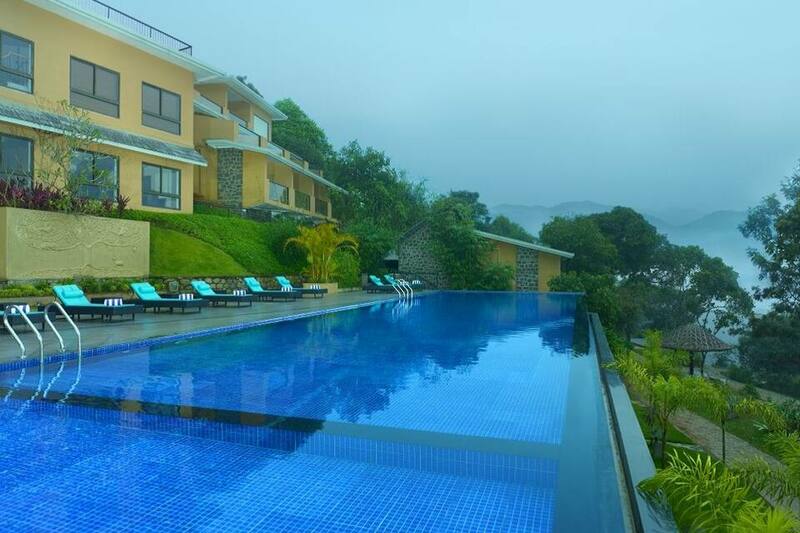 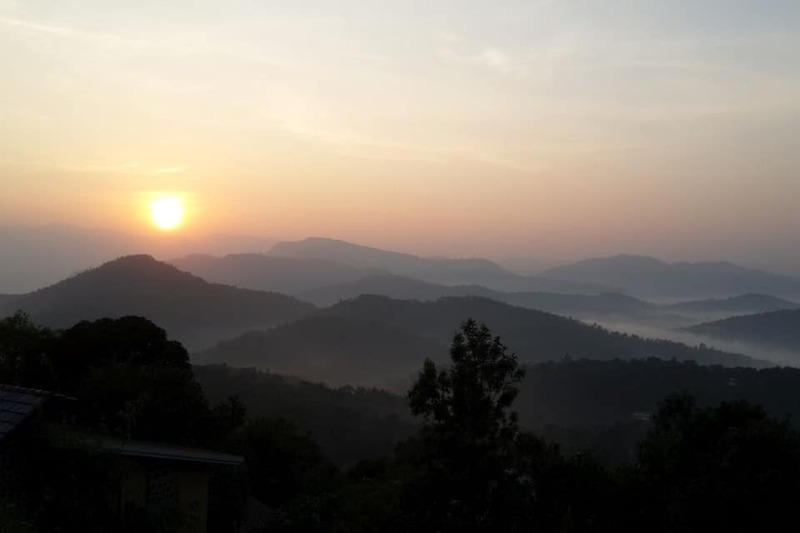 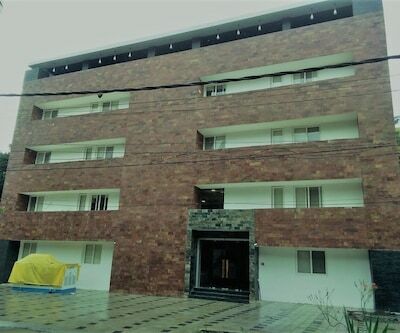 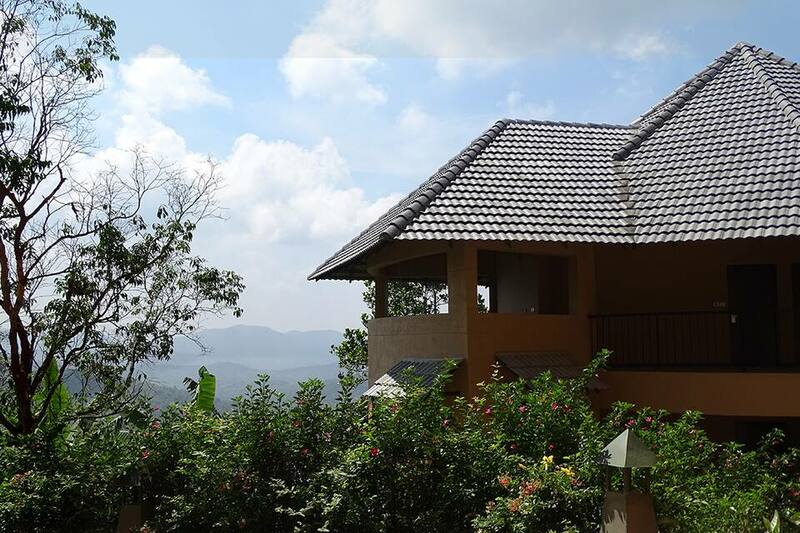 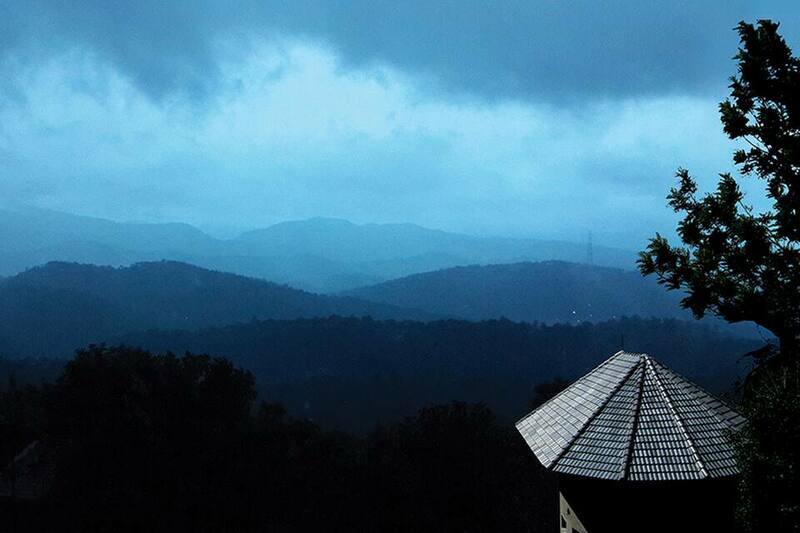 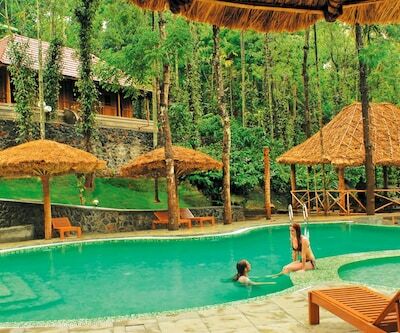 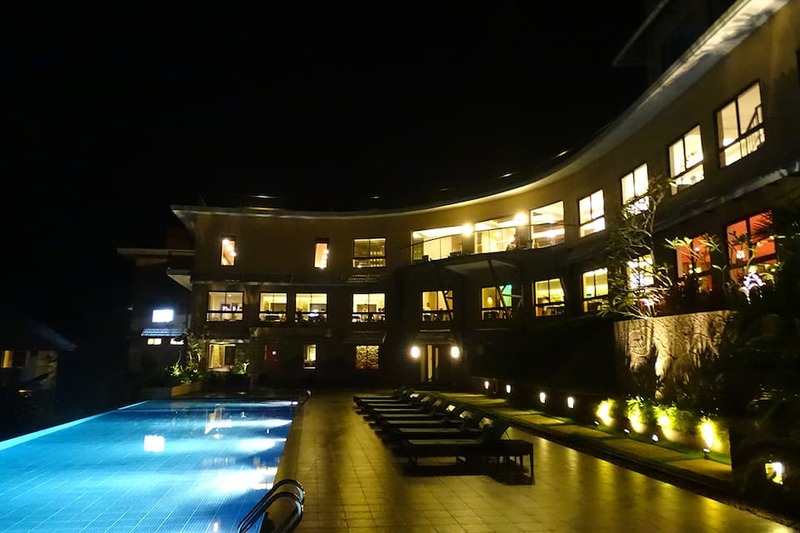 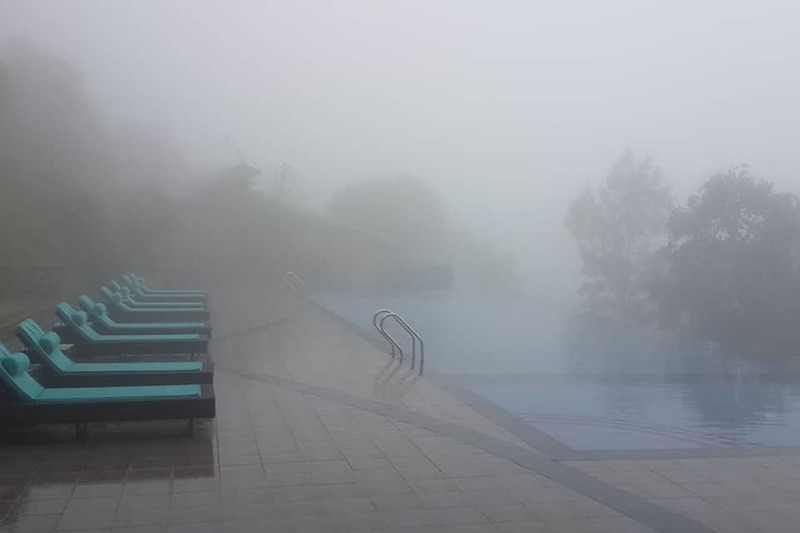 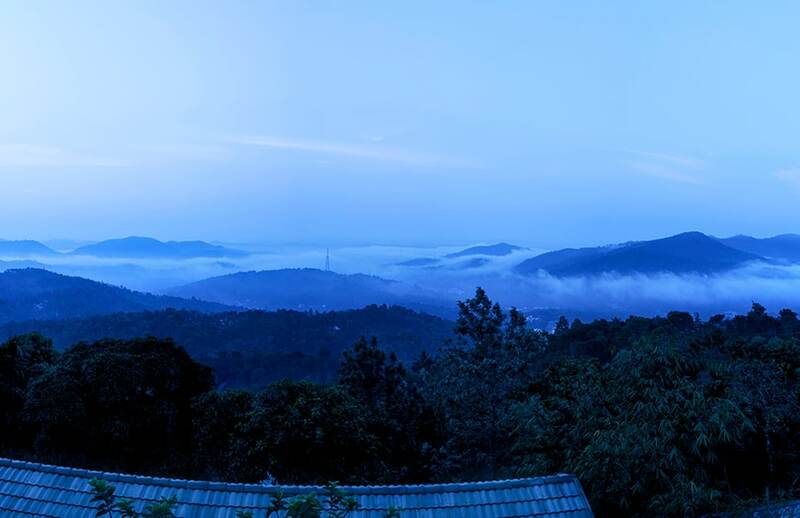 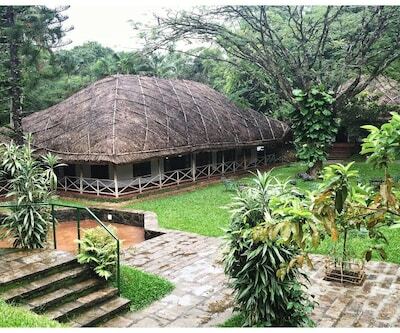 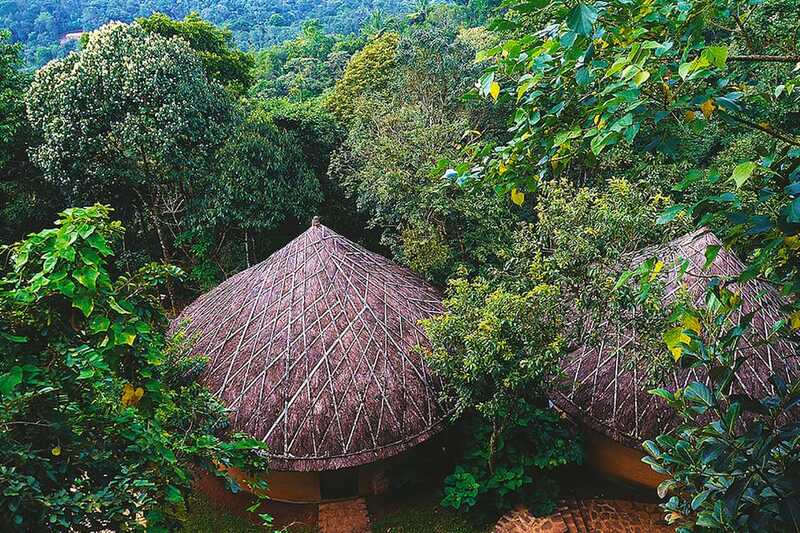 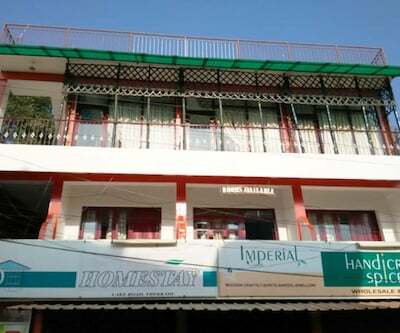 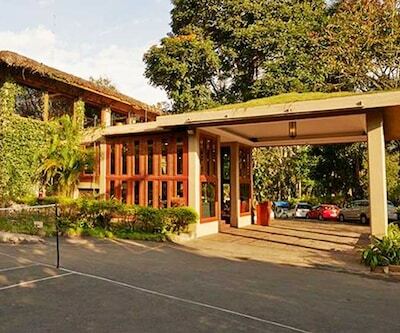 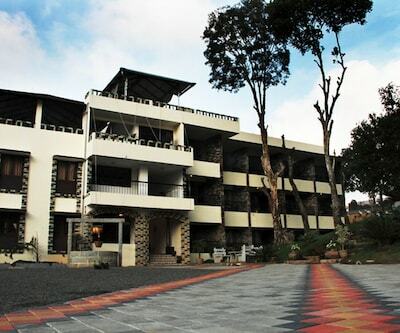 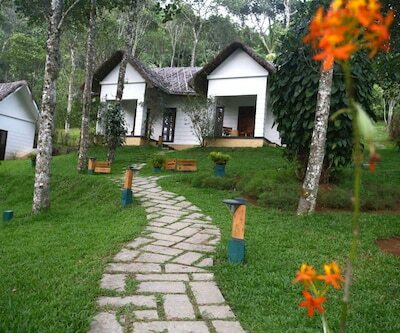 This wonderful hotel is situated 4km from the Periyar Wildlife Sanctuary and is famous for the wonderful views. 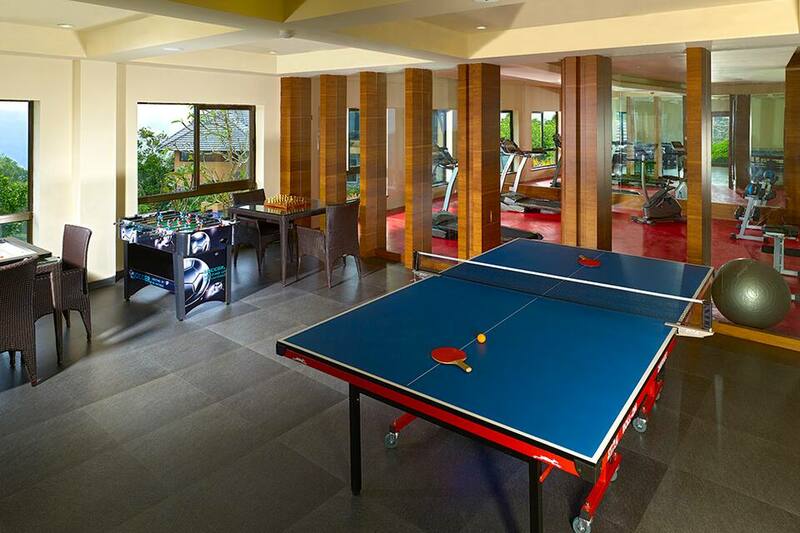 With a fabulous swimming pool and a large game room, you can relax and rejuvenate completely here. 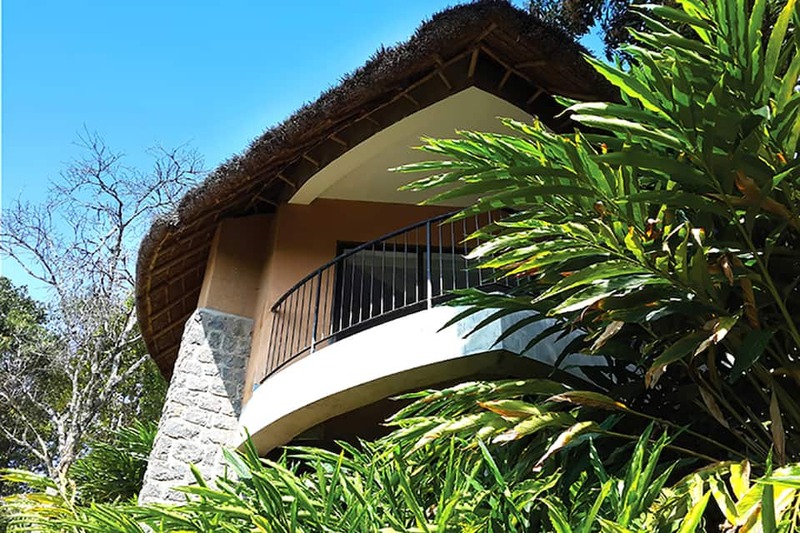 The modern property has a viewing deck to enjoy sunrises, offers guided garden walks and can arrange for romantic honeymoons. 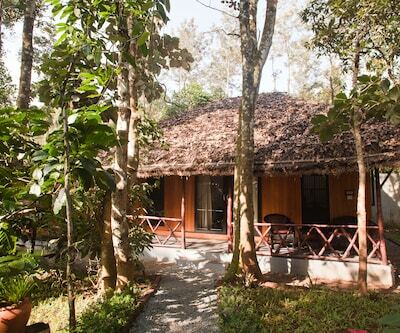 The Kadathanadan Kalari and Kathakali Centre is 3km from here and takes a walk around Abraham s Spice Garden which is 4km from the hotel. 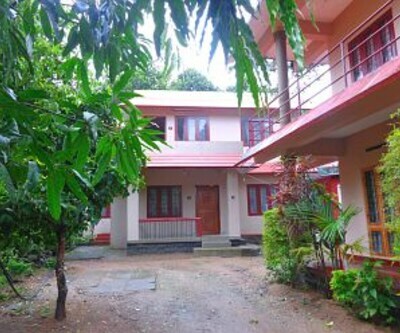 The Kottayam railway station is 105km away and the Madurai Airport is 135km away. 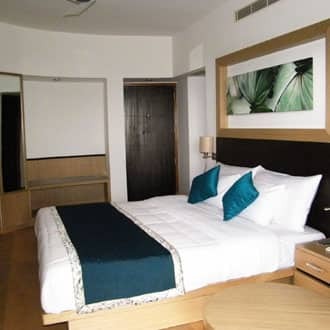 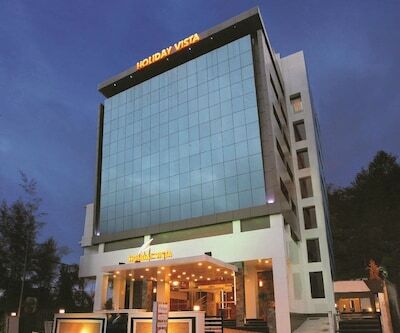 Madurai is the closest city from here at 115km and Trivandrum is 260km from the hotel. 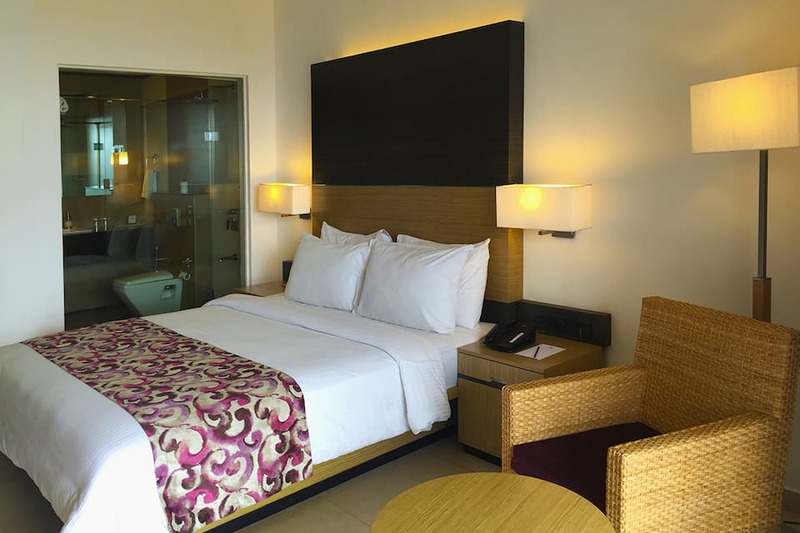 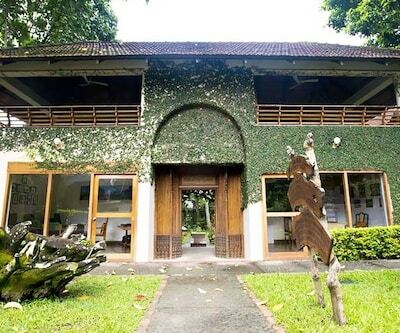 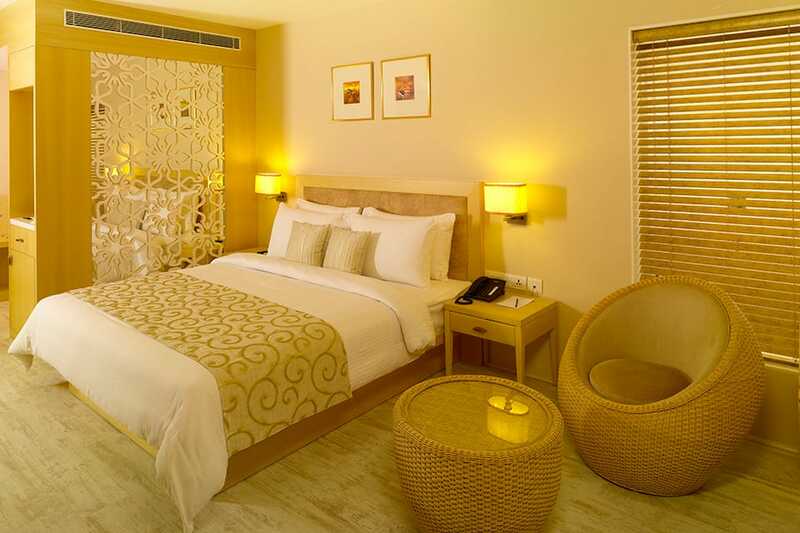 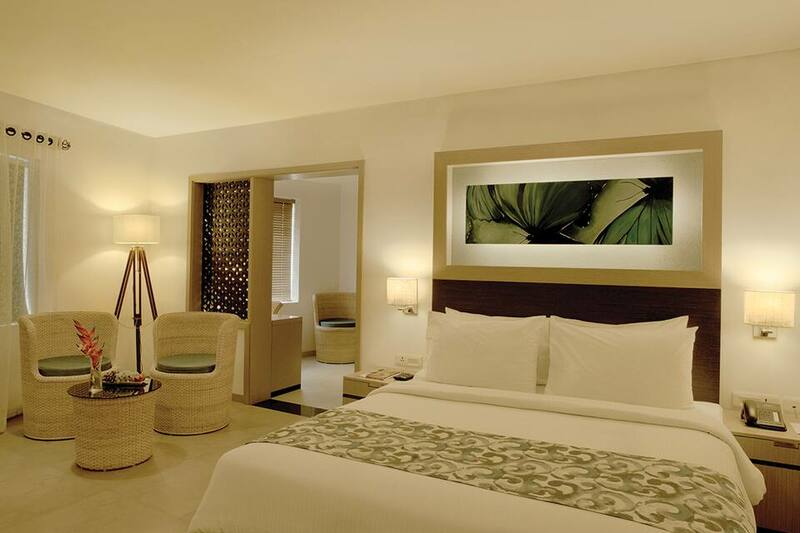 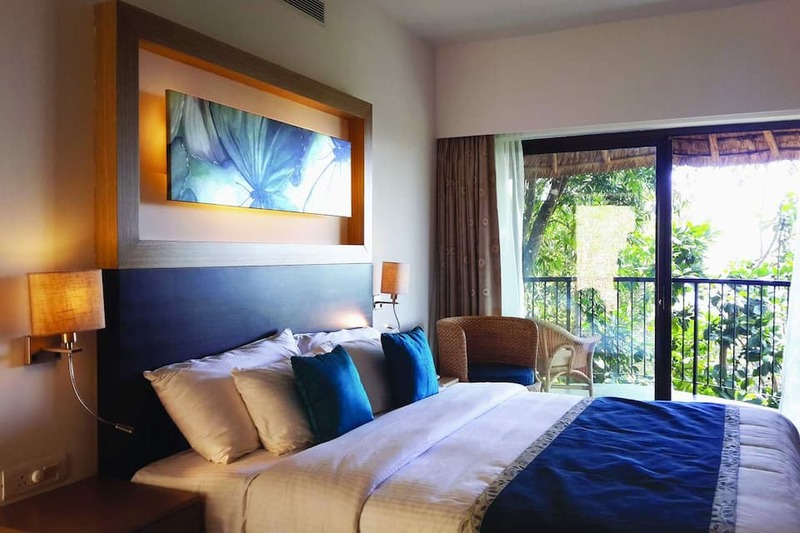 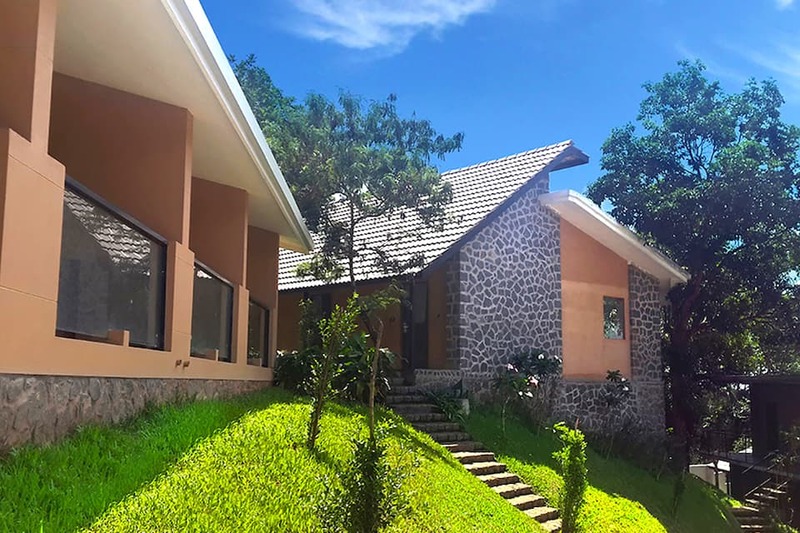 They have Prive Suites, Circle of Solitude Suites, Oval Escape Suites, and Reserva Suites to choose from. 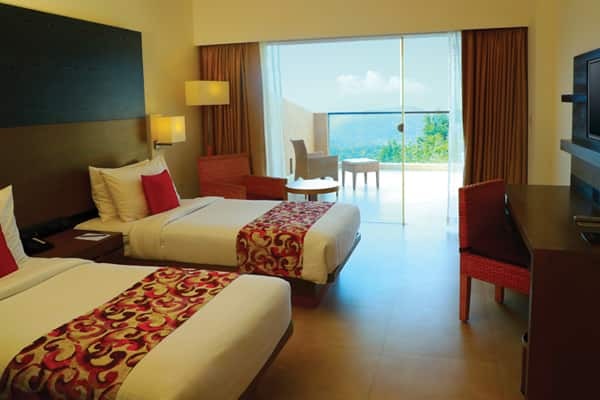 These rooms are spacious along with air conditioning, free internet, and private balconies offering gorgeous views of the mountains. 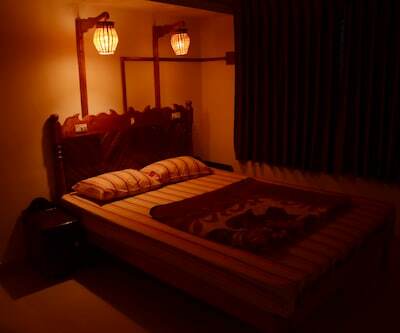 Tea makers, TVs and telephones are also available. 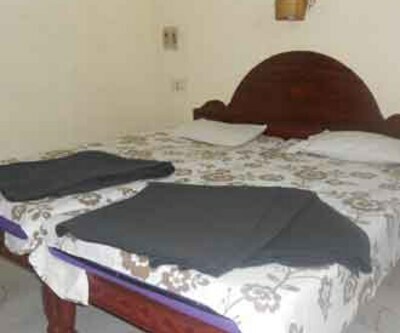 Laundry and room service are offered. 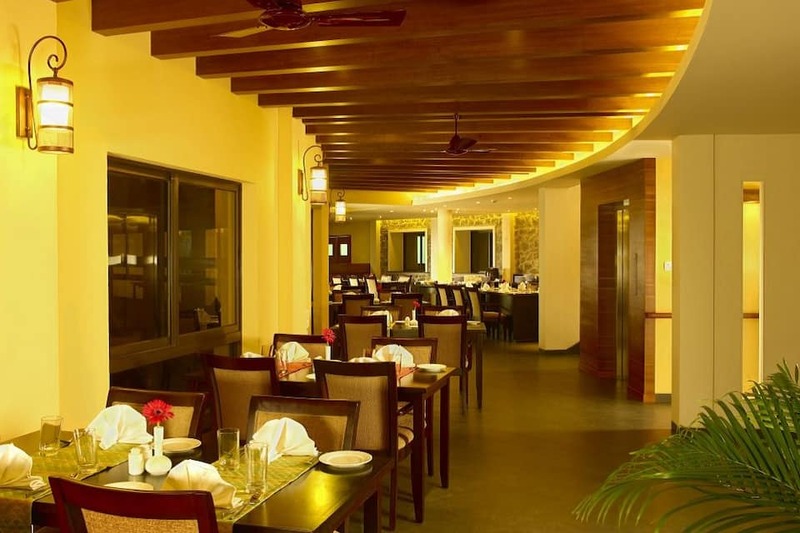 If you would love to sample the local fare, then pick the Kusini Restaurant where you can sample the best of the local cuisine. 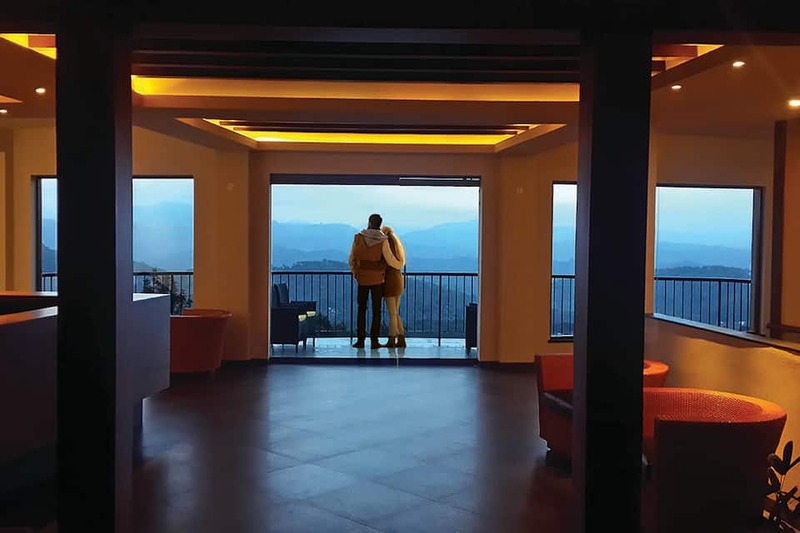 The Terrace rooftop restaurant offers stunning views of the surroundings. 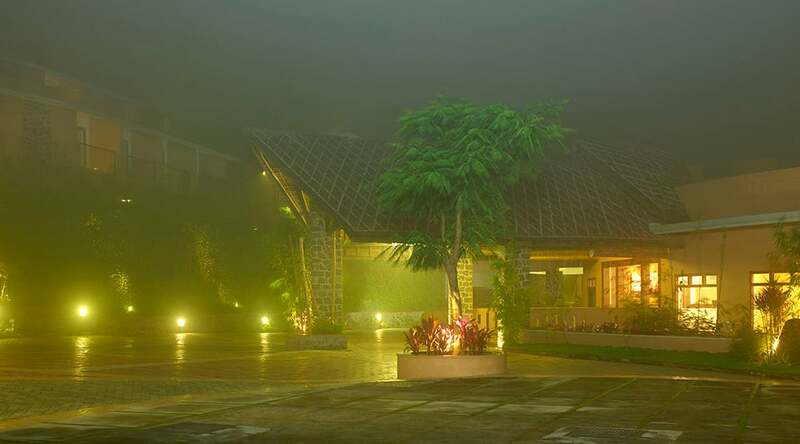 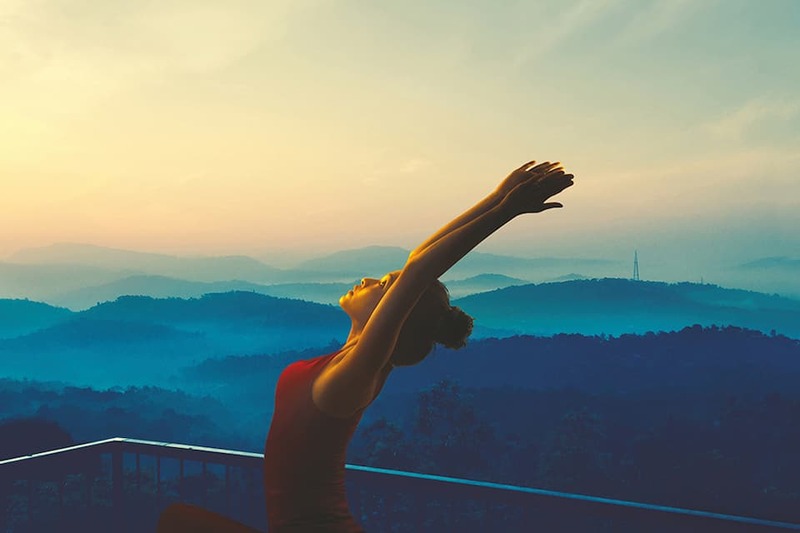 The resort has the highest rated spa in the local area and you can enjoy various spa treatments and enroll for yoga sessions too. 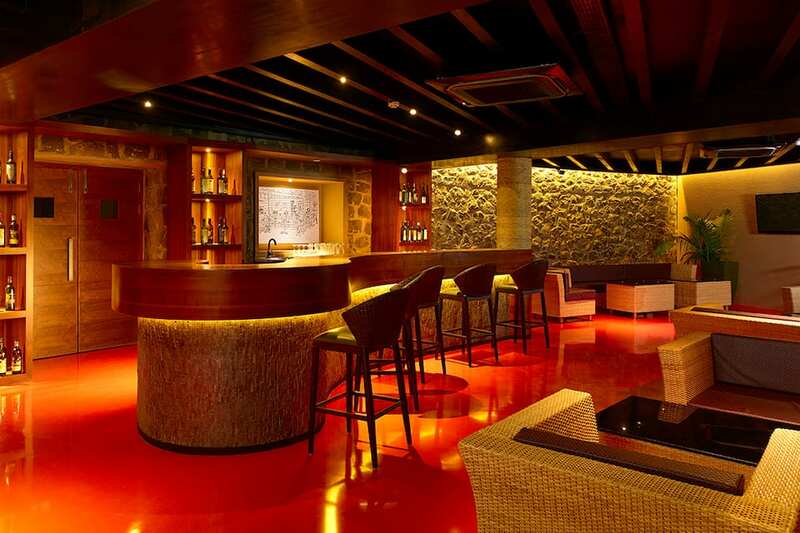 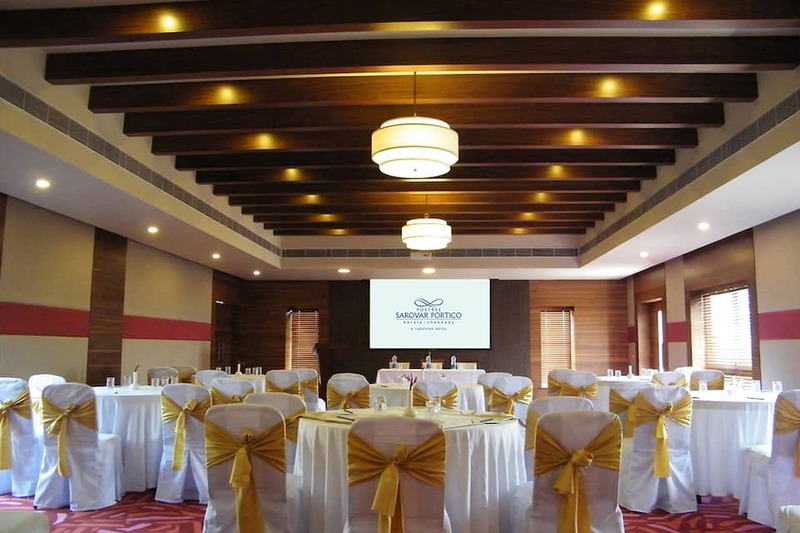 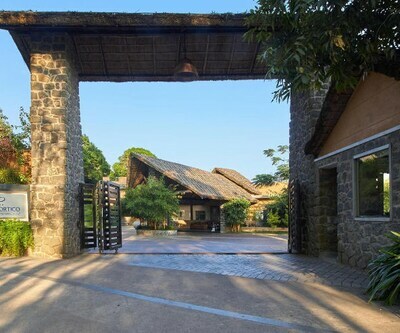 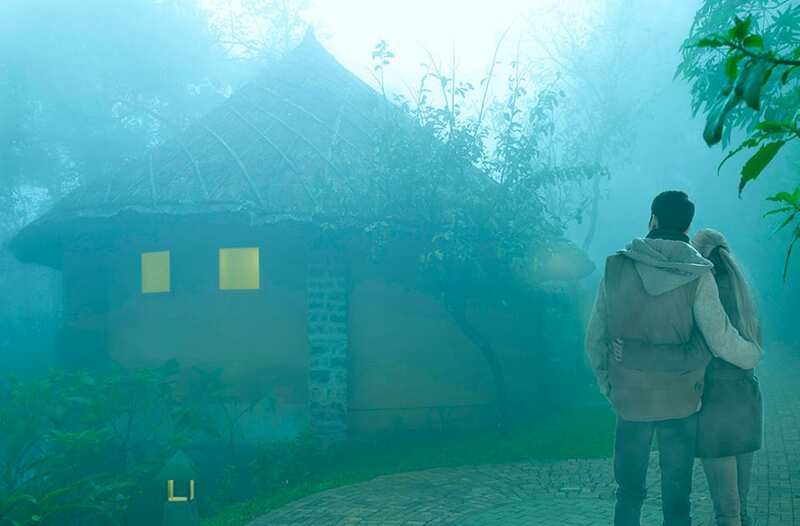 They offer an elegant event space, boating, trekking, and other basic facilities too. 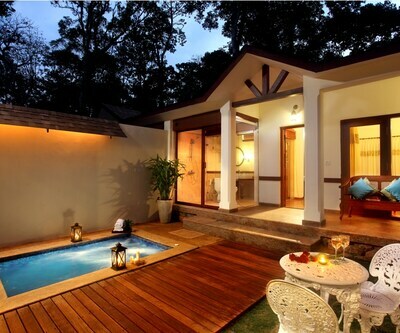 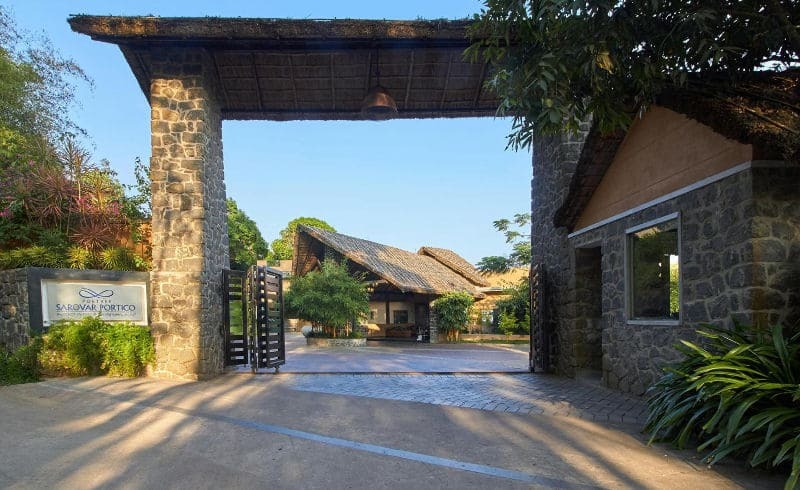 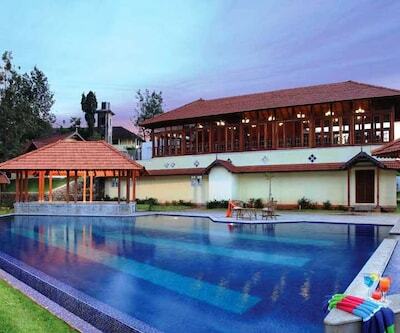 What makes this property the first choice among travellers is its exceptional setting and excellent services. 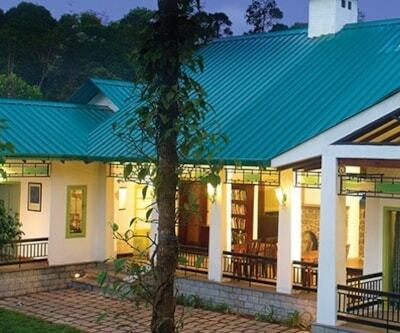 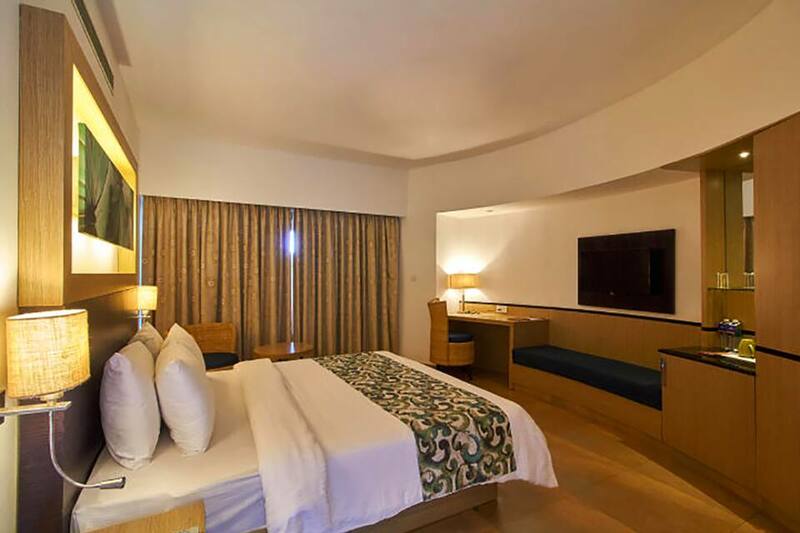 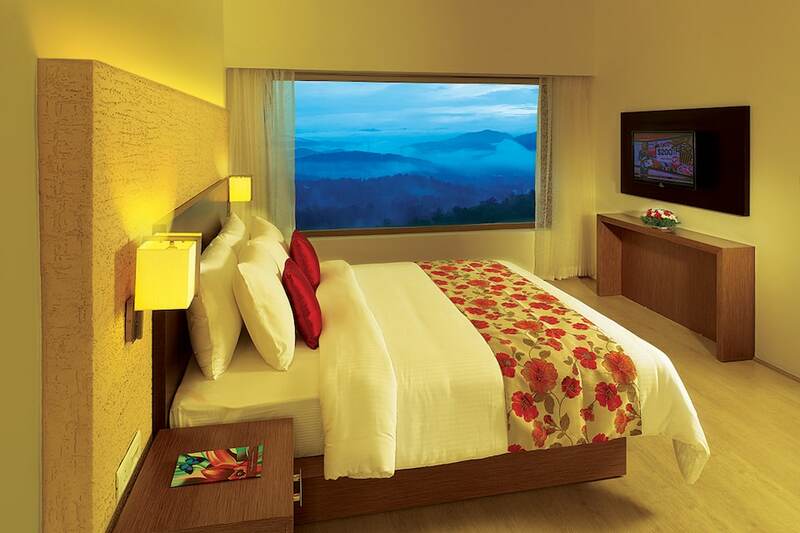 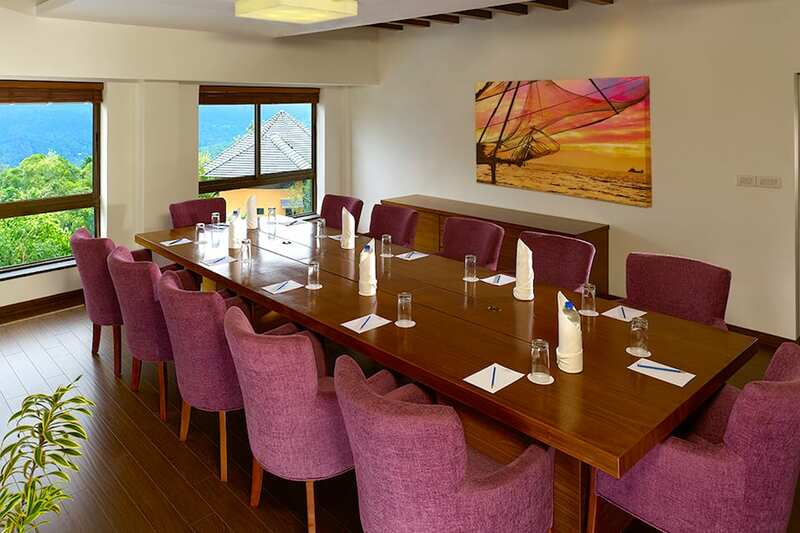 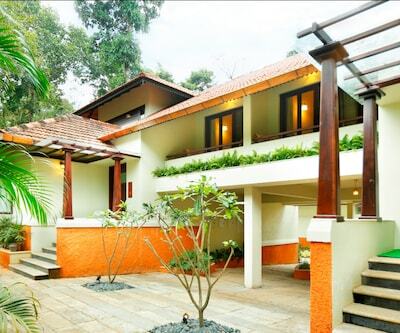 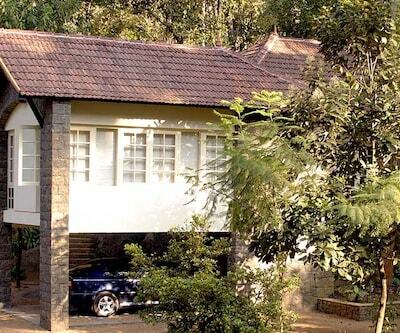 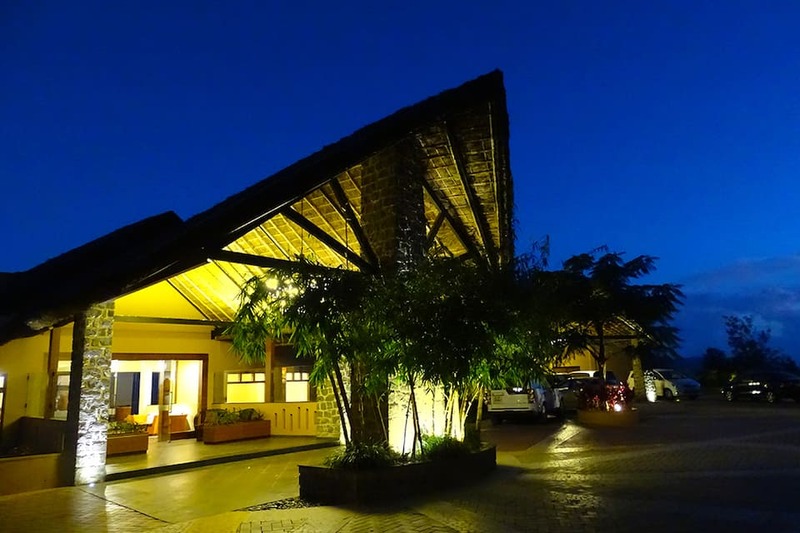 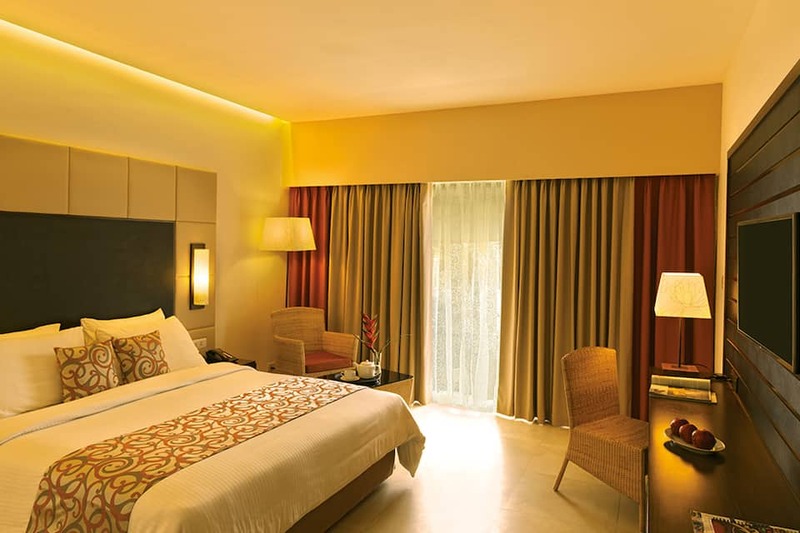 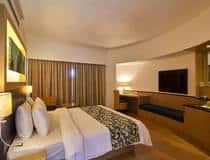 Book Poetree Sarovar Portico Thekkady- A Sarovar hotel now and revel in the best!